Are you looking for PR and free publicity in The Netherlands? Look no further! Supastar-pr offers PR-support to international clients such as starts ups, events, authors and musicians who are looking for more name recognition and sales in The Netherlands, both nationally and locally. After an Amsterdam adventure for almost 15 years, my firm is now situated in the tech and design capital of The Netherlands, Eindhoven. Stephanie rocks in PR. She’s amazing to work with. She’s enthusiastic, helpful and gets great results. Working with her has really boosted our success. 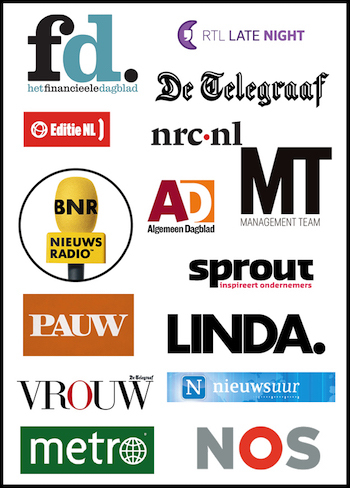 The publicity in Telegraaf, Ad, RTLNieuws.nl, RTLZ.nl, Bright, Computer Idee and BNR helped us to double the number of users of GOOSE VPN. We now have over 20.000 users. Also her media training was great to prepare for the radio interview. I could answer more difficult questions with easy and in a way that fits GOOSE as a brand. If you need PR-support for your (new) business, Stephanie is the go to girl! I’d love to hear from you and hear about your business and goals in reaching people in The Netherlands. Let’s find out if we are a fit to work together. Reach me at info[at]supastar-pr[dot]com or + 31 (0)6-24608220. Also check out my Linkedin profile with over 20 recommendations.